Superman has Lex Luthor, Batman has the Joker, and Aquaman has…wait, who is Aquaman’s nemesis? Although Arthur Curry, a.k.a. Aquaman, has been around since 1967, he’s still a bit of an enigma. Casual fans recognize him as the superhero who can talk to fish; others think he made his debut in last year’s Justice League. Either way, he hasn’t received much mainstream exposure, making his upcoming standalone movie a pretty big deal. While Warner Bros. has been pretty tight-lipped about the film’s plot, the studio recently gave us a good look at one of Aquaman’s most famous villains, Black Manta (a.k.a. David Kane). He’s actually a surprisingly worthy antagonist who should look fantastic on the big screen. Like many comic villains, Kane’s backstory is filled with tragedy and anger. As a young boy, he was kidnapped by pirates and forced to work on a ship, where he lived a life of abuse. With no hope, he has a chance encounter with Aquaman. Off in the distance, Kane spots the aquatic superhero and attempts to get his attention with the hope of being rescued. Unfortunately, Aquaman fails to notice Kane. Thinking Aquaman purposely ignored him, Kane grows resentful toward the superhero, vowing to take his throne as master of the ocean. Kane later escapes the ship after murdering one of his captors. That’s just one of Kane’s many origins throughout the years. Another origin found him in Arkham, where he was subjected to experimental treatments that caused him to become violent. Whichever origin you follow, it always boils down to this: Kane hates Aquaman. One of their biggest conflicts comes when Black Manta murders Aquaman’s son. This leads to a deep hatred between the two that is never truly resolved; it’s an endless circle of vengeance. As the years have gone on, Black Manta’s vendetta against Aquaman has only evolved into an insatiable obsession. The two should have an equally testy relationship in the live action movie. 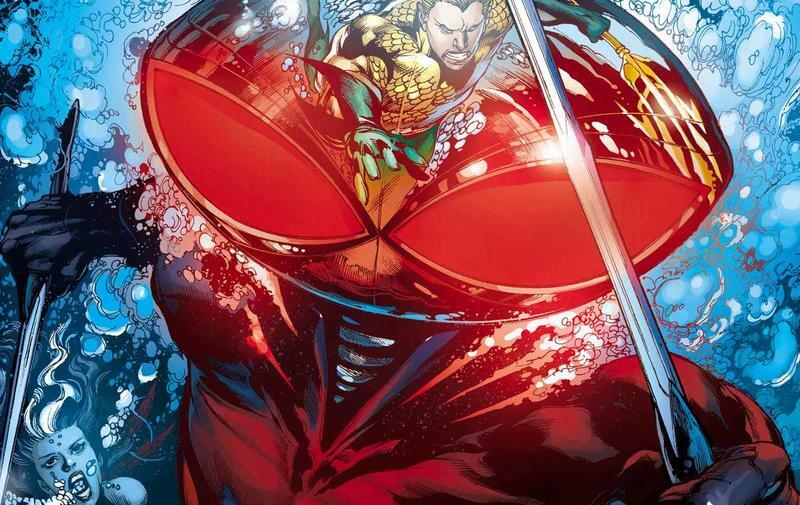 Recently, Warner Bros. revealed information about the role Black Manta will play in Aquaman. 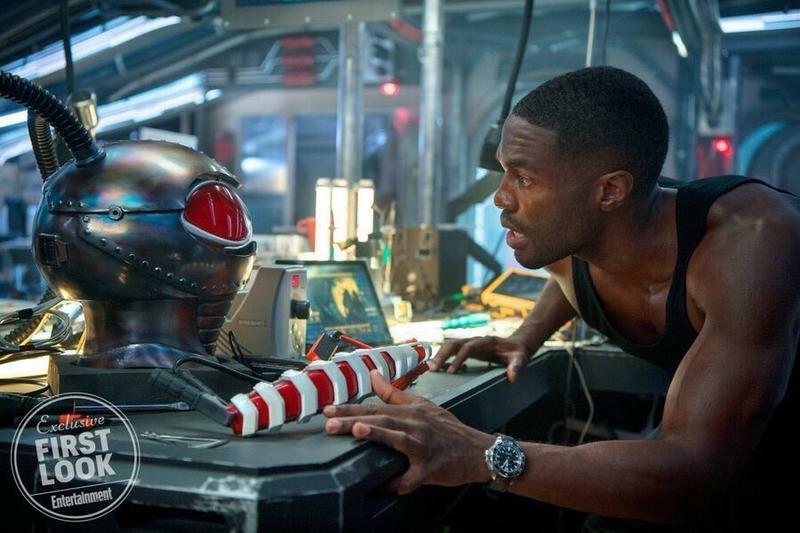 We also got our first look at actor Yahya Abdul-Mateen II looking at Black Manta’s iconic helmet. Like any good villain, Black Manta’s suit will be an important part of his character. After all, it’s what allows him to challenge Aquaman in the superhero’s domain. With the suit at full power, Black Manta gains enhanced strength, speed, and durability, as well as optic blast projection from his helmet. These enhancements are key to making him a formidable foe. According to Aquaman director James Wan, Black Manta will be part mercenary and a full-time pirate, “Who in his suit will look like some crazy alien from outer space.” He’ll apparently develop an interest in Aquaman’s trident and the mysteries of Atlantis. How Black Manta will factor into the larger story remains to be seen, and it’s unclear how much inspiration the film will take from the comics. Like, will we see Black Manta’s Manta Men? Probably not. But seeing Manta wreak havoc on Atlantis seems like a safe bet. The DCEU hasn’t really had a good villain yet—even Wonder Woman fell short in this regard. In Aquaman, Black Manta looks poised to become one of the universe’s great villains. We’ll find out when Aquaman hits theaters on December 21, 2018.